If you have stayed one year past the date you were supposed to leave (usually on your I 94, the white thick piece of paper you receive from the immigration officer when you enter the country), you are banned from re-entering for 10 years without an immigration waiver. If you overstayed by 6 months, it is a 3-year bar. There are certain exceptions, but very few. One exception is for people who marry U.S. citizens and file for Adjustment of Status (the Green Card). However, if there is something else in your past you need to address (i.e. criminal history or suspected of working without authorization), you shouldn’t just ignore it as waiting outside the country for 3 or 10 years does not guarantee entry after that time. If you have a criminal history, expungements are not recognized for purposes of immigration. You may qualify to have your Conviction Vacated. This should be discussed with your lawyer. More importantly, call us BEFORE you have your criminal trial as we can advise on the consequences of different strategies. There is no extra charge for us to work with your criminal lawyer in a team effort to help you out in the best possible manner. Conviction for high-speed flight from immigration checkpoints, domestic violence, stalking, child abuse, child neglect, violating court protective orders regarding prevention of domestic violence. If you falsely claim to be a citizen, you are subject to deportation. Other important changes include the fact that Suspension of Deportation had been eliminated under Sections 212(c) and 244. This was a way to avoid deportation, it was ‘suspended’. 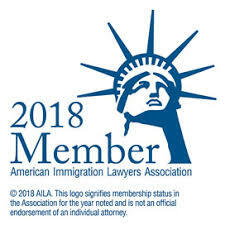 In their stead, we have a 7-year Cancellation of Removal (It has the same effect- you are not deported) provision for people with green cards and a 10-year Cancellation of Removal for people who do not have a green card. Aggravated felons do not qualify for either of these and people who have committed any crime must show “exceptional and extremely unusual hardship”. However, if a crime is committed by the person or an NTA (Notice To Appear …. this is in Court) is served on them, the time stops counting towards the 7 or 10 years. Aggravated Felonies: Always a serious issue in immigration. Unfortunately, many crimes that are not Aggravated Felonies in a certain state are considered aggravated felonies for immigration purposes. Aggravated felonies were changed so that the definition now covers most felonies. Also, thefts and violent crimes that carry a one-year sentence or more are now considered aggravated felonies. In many cases, even if your felony is not aggravated, there is very little an immigration lawyer can do for a felony conviction. Immigration waivers may not be helpful in these circumstances. Importantly, they removed judicial review for people convicted of some crimes, discretionary bond and detention. On this note, they also made the change regarding the definitions of conviction and sentencing. For example, sentencing is now defined as the time ordered by the Court, regardless of whether or not the sentence or execution of it were withheld. An area of great concern is that nonimmigrants now have their visas automatically invalidated if you overstay by even an hour. Under Section 222(g), these person can no longer Change Status (this is the term for people going from one visa to another, such as a B-2 visitor going to an H-1b work visa) inside the United States. The problem with this is that once you are outside the country, they have you, and if they feel you should not be let back in, you have a problem. A last major change as a result of IIRIRA is that 4 major agencies must report (Section 404) to the USCIS (Immigration Dept) 4 times a year if they know that you are unlawfully present. These agencies are: HHS, HUD, SSA, and DOL. CRIMINAL ISSUES: We are often asked by our clients what the difference is between being inadmissible and deportable. Someone who is in this country under certain circumstances can be asked to leave, and that is deportation. Someone who is outside this country trying to enter could be inadmissible (previously called excludable). This means that if you have a green card, each time you re-enter the country you are seeking admission. If you have a criminal record, it could prevent you from entering. If that is the case with you, visit or call us immediately, especially if you intend to travel. The same rule applies to people who are Entering Without Inspection (EWI); these people are subject to all of the laws of admissibility. Entering Without Inspection, or being an EWI means that you entered the United States illegally). This area of the law can be quite complex. For example, if you left America but did not enter a new country, you are not seeking readmission (let’s say you rented a boat and left the continent but only went fishing). Another example is a person who leaves America but for some reason is not admitted to Canada, that person has not left the United States and therefore does not seek readmission, avoiding the triggers of a person seeking readmission. There are many grounds of inadmissibility immigration lawyers deal with, and these are the ones we are called about the most. Immigration waivers are available under certain circumstances for 30 grams or less or marijuana. Foreign convictions require mental intent but American ones do not.